@arjun fan Its very tough for Ki n Ka to even cross 70 crs. Romcom genre is dying a slow death now. Content has to be super positive to cross 70 crs . Don’t expect too much from it. Please publish my comment at 6:28 PM. No youngistan movie is exciting this year. Only MS Dhoni to an extent. Half girlfriend will depend on its music. Novel was not dat great. Ranveer Singh movies will open well now post bajirao mastani. Hope he doesn’t take a backward step with Befikre. Dilwale ( OS ) – 165cr. Vedict – Blockbuster. it has to be a hit in India. it deserves it.. Highest Grossing Masala Films In Overseas. Excited for FAN, Raees. MJ, Rangoon. Sonakshi in Mohenjo? I heard she will be a part of HR’s Kaabil! Ki and Ka will be the PRDP of 2016. Waiting for Akki Sir all films Airlift , Housefull 3 & Rustom . Khiladi of Bollywood . 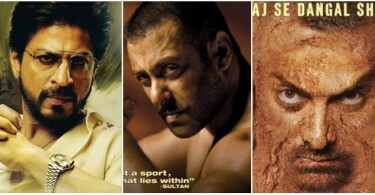 @challa Raees is looking crap from every angle. Overacting in every scene. Sultan is looking way better. Please add our film Do Lafzon Ki Kahani.